Hide deals from seller "Mane Street Hairstyling"
Limit 1 per person. Valid on a women's haircut and shampoo. New clients only. Promotional values expires 365 days after purchase. Maintain your mane with this deal for 50% off a women's haircut and shampoo at Mane Street Hairstyling in Palatine ($30 value). This friendly hair salon provides excellent haircare for the entire family. Two sisters opened Mane Street Hairstyling more than 25 years ago to provide topnotch service to local patrons. Over the years, they have developed an impressive loyal customer base, and they continue to attract new clients. Located inside Slade Street Station, this cozy and comfortable salon allows clients to relax and unwind. They can also rest easy knowing their locks are in good hands. Mane Street offers cuts for the entire family as well as coloring, highlights, perms and updos. 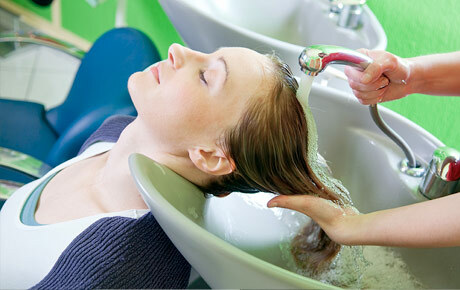 A friendly and comfortable salon in Palatine offering haircare for the entire family.